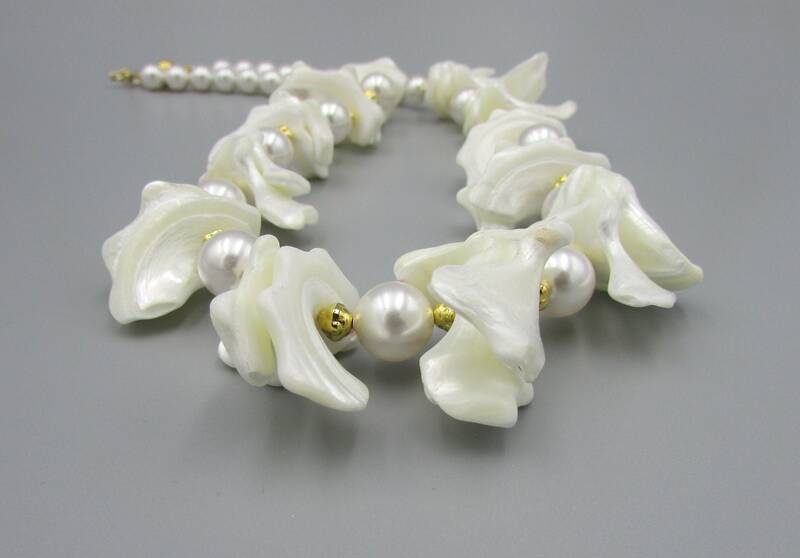 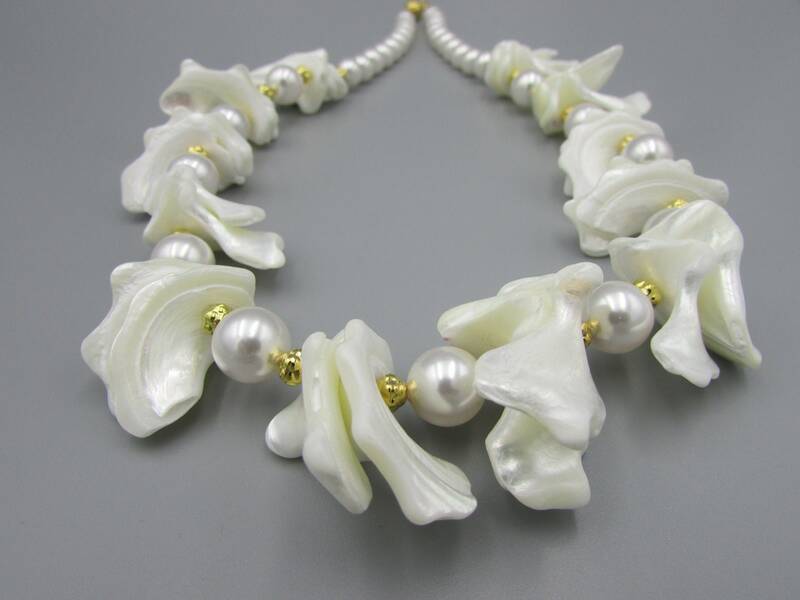 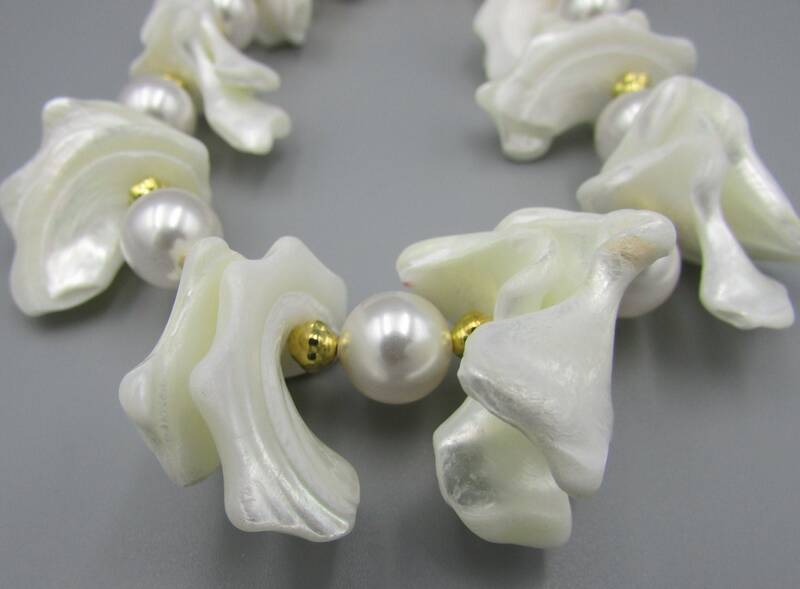 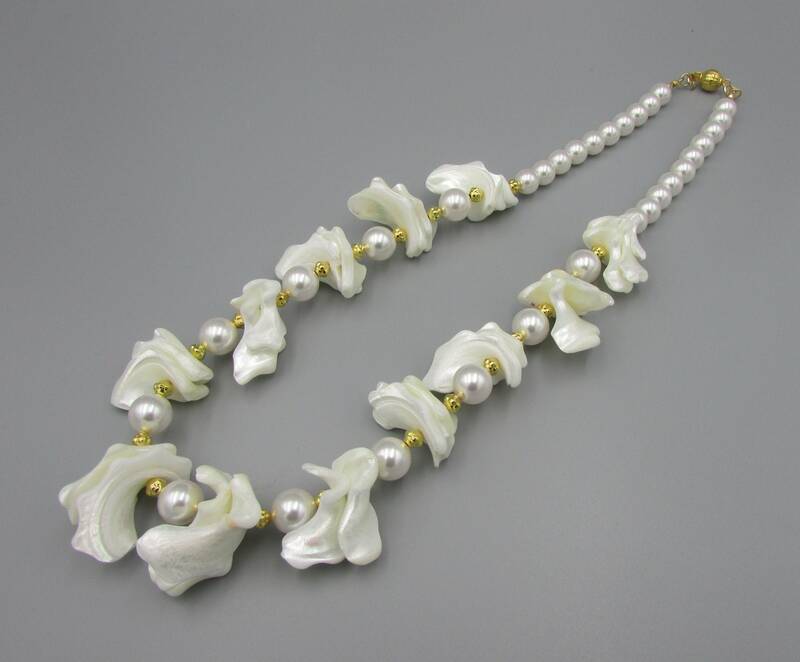 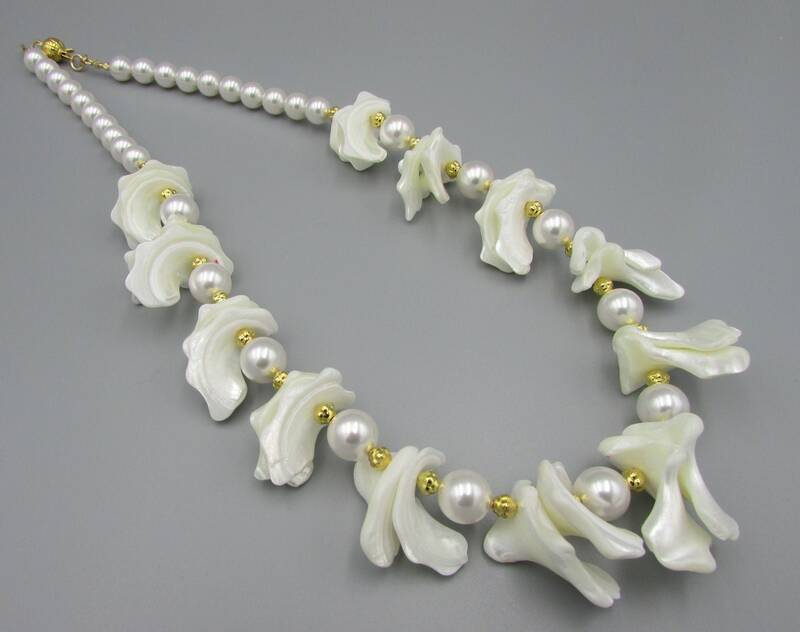 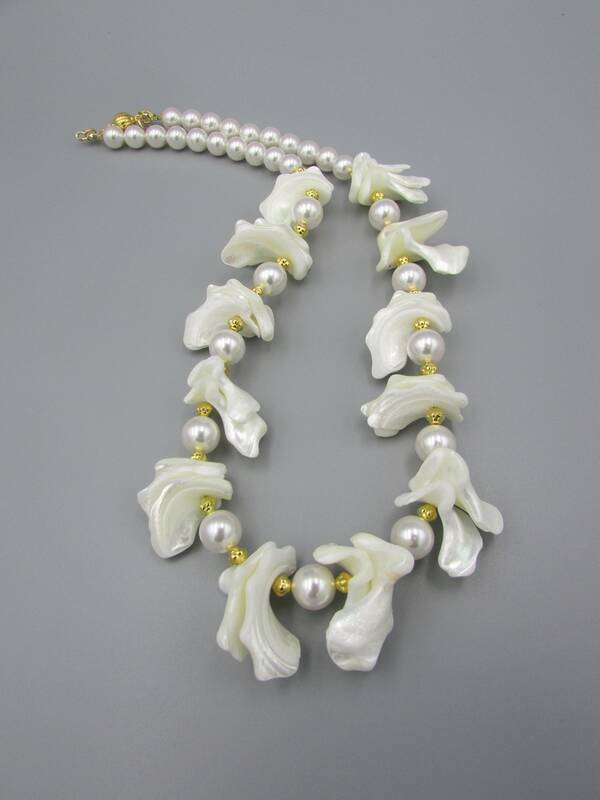 This lovely Mother of Pearl necklace is made with frangia white mother of pearl and 10mm round white swarovski crystal pearls with 4mm fine gold plated bead spacers. 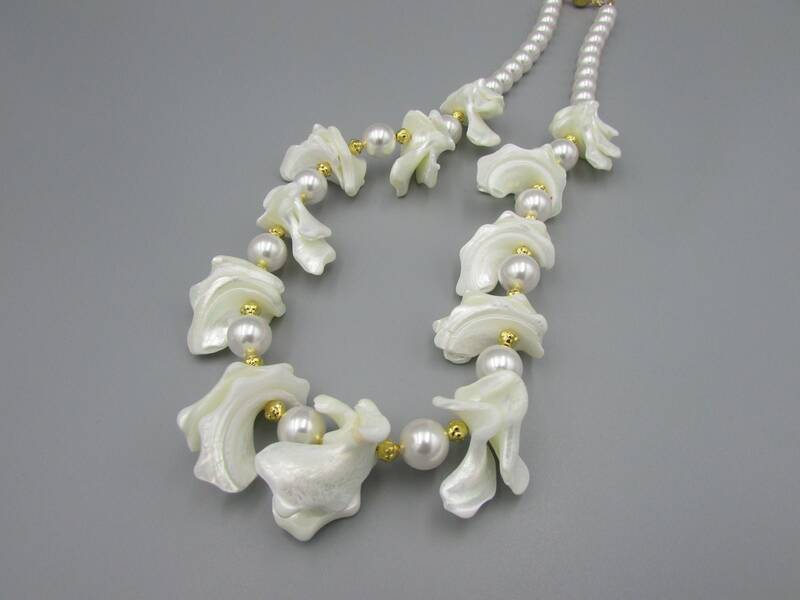 Swarovski makes the best pearls, you can't tell them from the real ones. 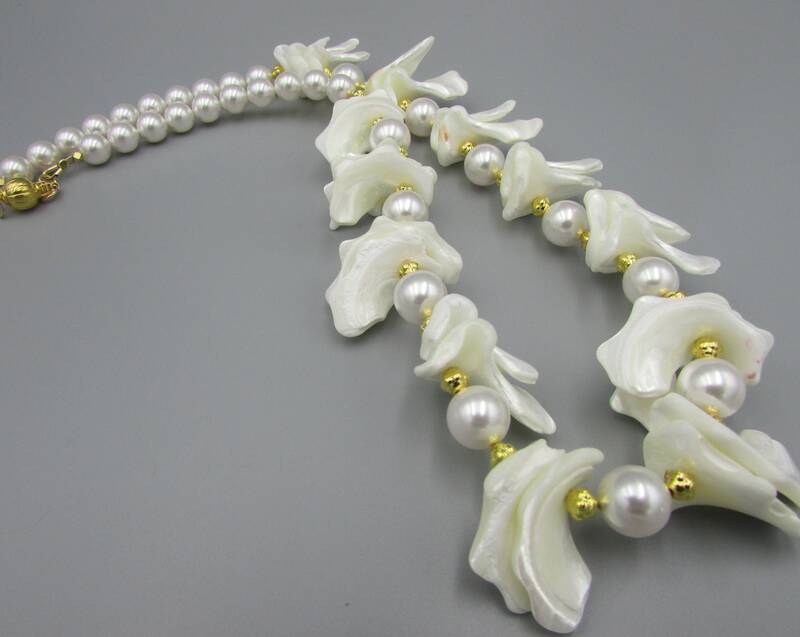 Length is 20 inches. 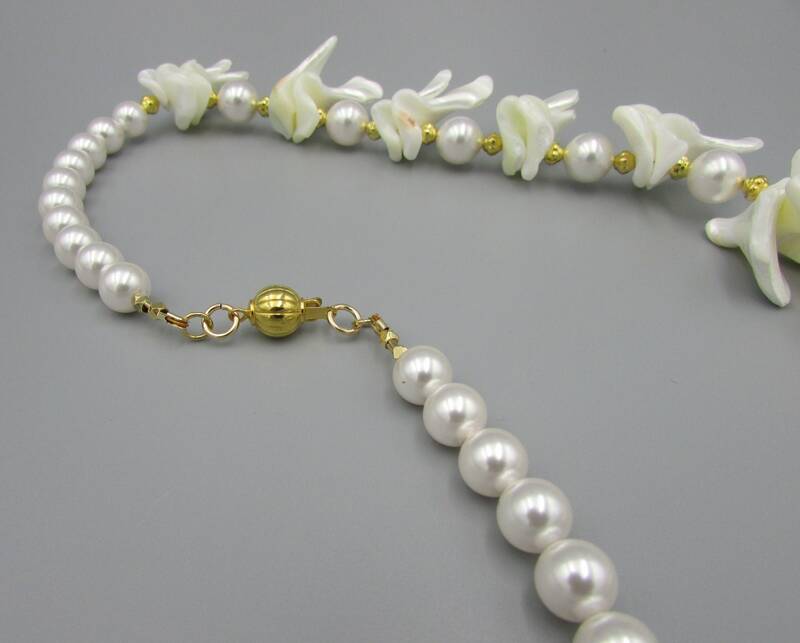 Clasp is gold ball interlocking. 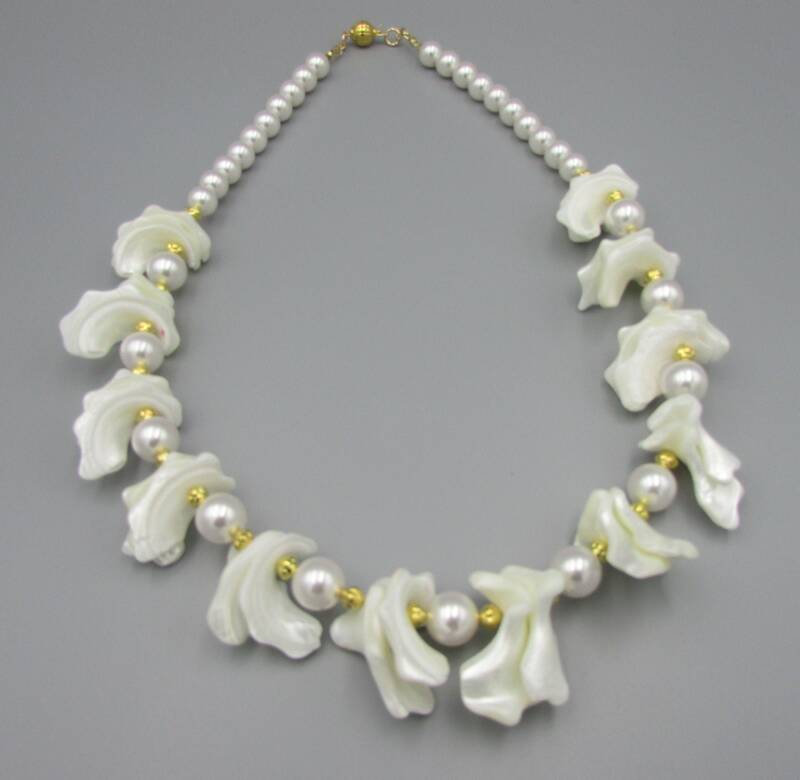 This statement necklace is perfect for any special occasion this season or simple looks great with a t-shirt and pair of jeans too.